Please register for this event by following the Eventbrite link here. The idea that toleration is a uniquely modern Western concept based on liberal foundations has been increasingly challenged in recent times. 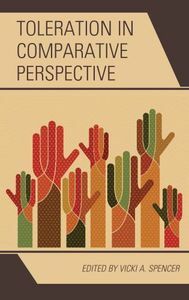 The authors in Toleration in Comparative Perspective test the veracity of this assumption by examining approaches to cultural and religious diversity in various intellectual traditions in Asia and the West. Toleration in modern Western thought is understood as principled non-interference in the practices and beliefs of others that one disapproves of or, at least, dislikes. While this concept is not always easily translated into other traditions, the seminar will illuminate various intersections between Western and non-Western traditions by exploring points of commonality and difference. What appears to emerge is a family of resemblances in approaches to religious and cultural diversity which bear a remarkable similarity to the Western concept, while others provide models for positive engagement with diversity in both Asia and the West. * Vicki Spencer is Assoc. Professor of Political Theory at the University of Otago, New Zealand. Sheworks on cultural and religious diversity with reference to the Enlightenment and contemporary Western thought. She is Editor and contributing author of Toleration in Comparative Perspective (NY: Rowman & Littlefield, 2017). She is also author of Herder’s Political Thought (Toronto: University of Toronto Press, 2012).